What Is a Ceramic Candle Water Filter? If you think the phrase ceramic candle water filter sounds like something you’d use to decorate a well-appointed living space, you’re in for a big surprise. It’s actually a unique type of water filter that’s been around for ages. In fact, the use of ceramic as a water filtration medium is one of the oldest of its kind. These filters use a ceramic exterior to filter out sediment, rust, organic matter, and large particulate matter. Most ceramic water filters are now produced with an internal, activated carbon core, which helps address modern water contaminants, including chlorine, toxins, and pesticides. Additionally, many manufacturers produce their versions of these filters using 100 percent natural materials, making them desirable for the consumer who’s focused on eliminating use of plastic, and other synthetic materials. 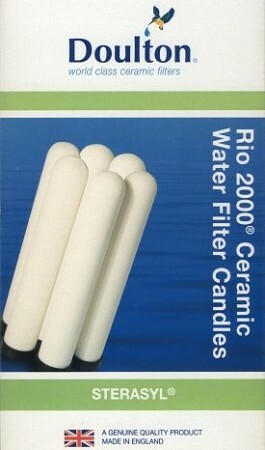 Essentially, ceramic candle filters work by emulating the Earth’s very own natural filtration process. Just as water passes through layers of rock, a ceramic filter pushes water through natural ceramic, effectively filtering out any large particles. In other words, ceramic filters take things back to the basics when it comes to creating clean drinking water. The ceramic water filter as we know it today was invented by English businessman Henry Doulton in 1827. He was commissioned by Queen Victoria to produce a device for her personal use, but discovered the success of the product and began marketing it to the masses. In fact, the public and the English government were so pleased with Doulton’s work that he was knighted for his labor on the advancement. Currently, Doulton is a registered trademark of Fairey Ceramics, which produces popular ceramic filter systems, such as the Doulton Gravity Filter System. Now, these filters are widely used by non-governmental organizations and foundations in order to help bring clean drinking water to developing regions. These filters are desirable over other types because their materials are widely accessible and affordable. Despite that, they have the ability to filter out significant amounts of contaminants. These relatively simple filtration devices work primarily with the help of the ceramic candle or exterior structure, which contains micro-scale pores that trap and absorb impurities. In other words, the water seeps through millions of tiny pores that collect larger bacteria and particles and filter them from your drinking water. Generally speaking, ceramic water filters have the capacity to filter out any particles larger than 0.5 micron. That includes most cysts, sediment, and lead. Some ceramic candle water filters also use a silver compound, which is added to the ceramic itself, in order to repel bacterial growth on the filter. The silver also helps to prevent the growth of mold and algae on the body of the filter. As previously mentioned, contemporary versions of Doulton’s original ceramic filter generally feature activated carbon to further filter out smaller components that can negatively affect the smell and taste of your water. Ceramic also has many properties that make it preferred in water filtration applications. For starters, it’s naturally heat-resistant and anti-corrosive, which helps it stay in good shape for longer. These filters are also preferred by some for their easy-to-clean designs. Since the sanitary side is on the inside of the unit, it’s not exposed to as much environmental bacteria and dirt. You can easily clean them by using a soft-bristled brush and then rinsing with clean water. According to the Centers for Disease Control and Prevention (CDC), ceramic filtration has many pros and cons. Natural ceramic candle filters — those that do not have an extra layer of carbon filtration inside — are effective at filtering out 99 percent of bacteria, but are less effective at ridding water of viruses. Studies show that a ceramic water filter can remove 100 percent of protozoa and helminths in lab and field tests. However, most home- and business-owners should use a ceramic filter with a high-performance, activated carbon core in order to reduce the amount of organic and metallic contaminants in the treated water. The best way to reduce viruses from water is to use a water purifier filtration system. These units are specifically designed to reduce small-micron viruses that are very difficult to remove from water. 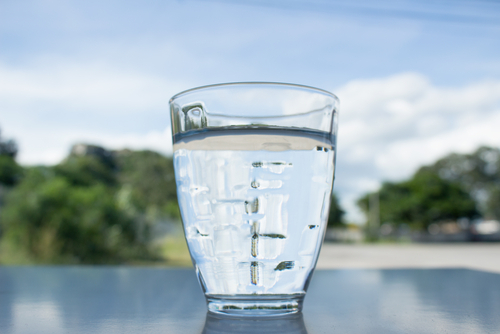 Another benefit of ceramic water filters is that they’re excellent at removing turbidity from water. 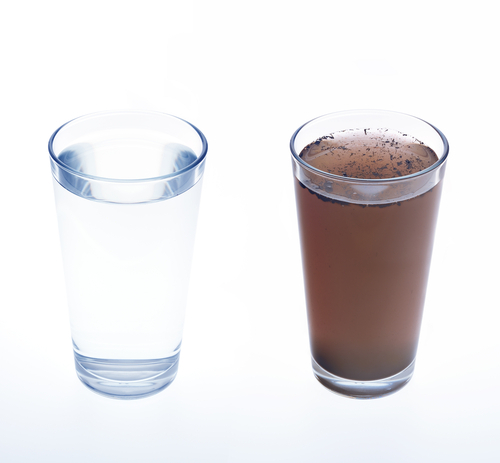 Turbidity is used to measure the cloudiness or haziness of the water. To put it another way, ceramic filters are a great choice for anyone dealing with stubborn, cloudy water. These age-old filters are an excellent option for a wide range of applications, including your home or business’ gravity filter system.